For a fun filled day, complete with experience of Fijian lifestyle, hospitality and customs, visit the Arts Village. They've mixed a little bit of fantasy and little bit of local flavour and made theirs a very beautiful and unique setting. 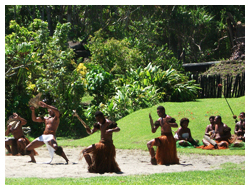 Cultural tours of the recreated Fijian village are being offered. Firewalkers from nearby Beqa Island now walk on hot stones FROM Wednesday to Saturday. The Arts Village in Pacific Harbour is one of Fiji's most unique destinations. 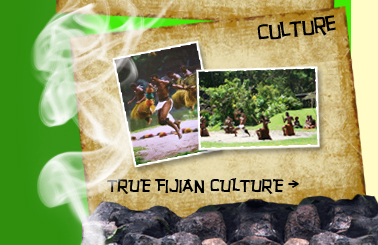 Here you will find Fijian Culture “alive and strong”. Visitors get to interact with locals in a friendly environment and learn about their arts and customs. The Arts Village offers traditional Fijian dances, called Meke, and the famous Beqa Fire Walkers making these cultural shows a must see! 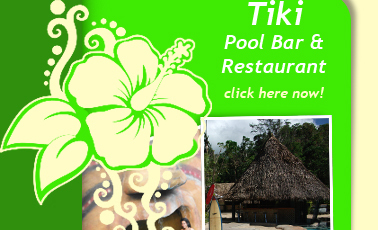 For a fun filled day come and sample the lifestyle, hospitality and customs of Fiji in a beautiful and unique setting at the Arts Village. A chance to 'discover Fiji' while enjoying some fabulous shopping, tasty food and fresh fruit juices and meet friendly locals while strolling around the colourful Arts Village complex! The stage comes to life with the spectacular meke and fire walking shows. 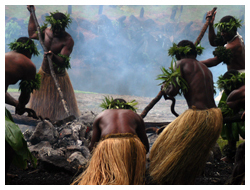 They include the phenomenal Beqa Firewalkers and re-enactments of Ancient Fijian legends. This is an extravaganza of stunts, singing, music, dancing, costumes, storytelling and legends.